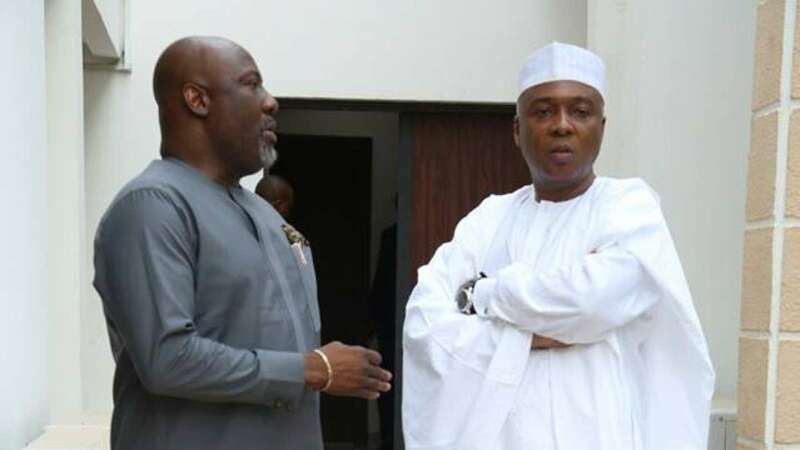 The statement read in part: â€œAlso targeted in the plot are the senate President, Dr. Bukola Saraki, Senator Dino Melaye and other opposition leaders. vehicles with the colours of the opposition bearing the photos of these opposition leaders and have acquired arms which will be hidden in the vehicles and the vehicles will be driven to join the campaign convoy of the opposition consensus candidate in Kwara, Kogi and Adamawa and other parts of the country where they have also selected. The vehicles will eventually be searched by the Police and the arms identified. â€œTheir plot will include mobilizing thugs and causing violence on the day of such identification so as to tag the opposition as violent. The APC are aware Nigerians now know them for their violence which has trailed their campaigns nationwide. Their internal crisis and grab power by all means attitude has catalyzed their rejection by Nigerians and they desire to break all the laws to cast the opposition in bad light. some centres and blame the opposition for violence and disruption of the process which will lead to mass arrest of opposition leaders to give the ruling party an advantage to rig and deny the people the opportunity to give their preferred candidates their mandate. A special security unit being coordinated by the Minister of interior Abdulrahman Dambazzau has already been set up and has commenced work to execute this dastardly plot. â€œThe security agencies are hereby put on notice that Nigerians will not accept any breach of security being orchestrated by elements of the ruling party disguised in whichever form they choose. â€œNigerians are put on notice to be watchful and vigilant to see through the evil plans of the ravenous group of rulers we have in our country today. They should not be deterred. Their songs of war and plot to rig the elections will be resisted as the Opposition Code 20 will neutralize all their plots.